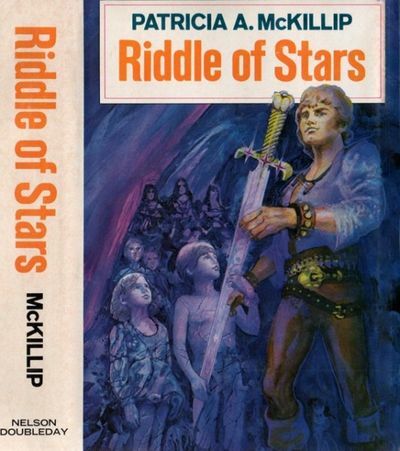 The Riddle-Master Trilogy by Patricia A. McKillip was a series I read again and again in high school. These stories are the tale of a man named Morgan. He is the land ruler of a small island called Hed, and like other rulers in this world, he has what is called the "land rule." Land rule is a deep connection between the ruler and the land, and serves to provide rulers the knowledge and needs of the land as a means of governing. But there's more to Morgan's life than Hed, to his great regret. He plays many other roles in this world, none of them easy, and none of them without dire consequences to himself and those around him. As he finds his way to his destiny, he leaves a trail as wide as a house, and coming to terms with all that it entails. I think the reason I liked these books so much is because all the main characters are just a hot mess. And since I was in high school at the time, I, too, was a hot mess. Reading about the trials and tribulations of these fantasy characters made me feel less like a failure, less like a disappointment to everyone around me, less confused about who I was and what I wanted to do.